While skin telangiectasias aren’t typically considered harmful, they can nonetheless have a marked impact on the appearance of the skin. Skin telangiectasias are small areas around the surface of the skin where broken or widened blood vessels appear as fine red or pink lines. Often referred to by a variety of other names including spider veins, skin telangiectasias affect the vast majority of people, though are far more pronounced in some than others. In instances where skin telangiectasias are particularly severe, they can have a detrimental effect on self-confidence and quality of life. Irrespective of the cause of the telangiectasias, there are countless non-invasive cosmetic treatments available to effectively tackle the issue. If you’re in any way concerned about telangiectasias, contact a member of the HSA Dermal Clinic team to organise an obligation-free consultation. We’ll guide you through the available treatment options, in order to ensure you choose the best possible course of action. Call today for more information. The single most popular and effective telangiectasias treatment is advanced laser therapy. Also known as spider veins, telangiectasias appear when tiny blood vessels close to the surface of the skin either widen or break, resulting in discolouration of the surface of the skin. In order to tackle the problem at the source, we use cutting-edge microbeam laser technology to provide the most advanced and capable telangiectasias treatment in London. 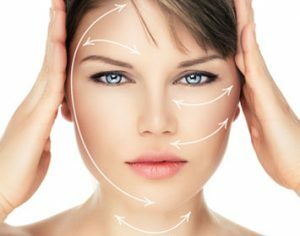 Pinpoint laser beams are used to shrink or destroy the problematic telangiectasias, while at the same time nurturing the production of healthy collagen and elastin. What’s more, this state-of-the-art telangiectasias treatment leaves all surrounding tissues intact and causes no harm whatsoever to the surface of the skin. Impressive results are typically visible after a single session, with absolutely no downtime or unpleasant side effects to worry about. Whether ready to go ahead or simply looking to discuss telangiectasias treatment options in more detail, contact a member of the HSA Dermal Clinic team today.